Stretch out and rest easy with the Ibiza Teak Outdoor Ottoman, this multifunctional piece has handsome good looks and is very comfortable. 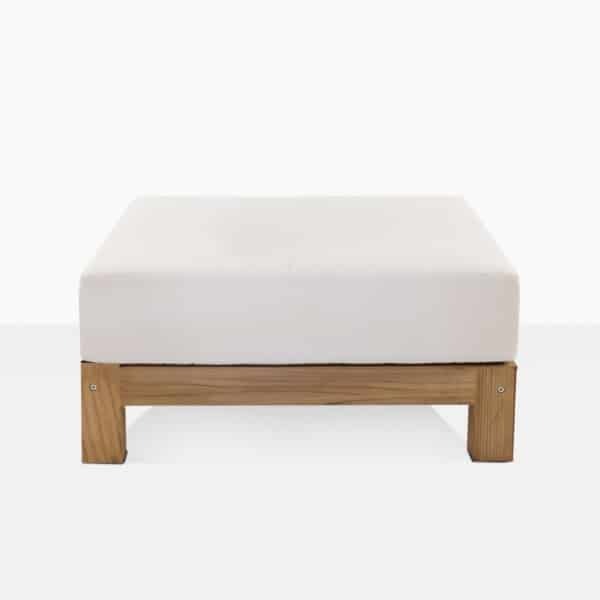 You may use it as a chair on its own, or use it with any of the Ibiza Collection pieces to create a long lounger. Fit it next to the Ibiza Club Chair and now you can sit back with your legs and feet elevated. 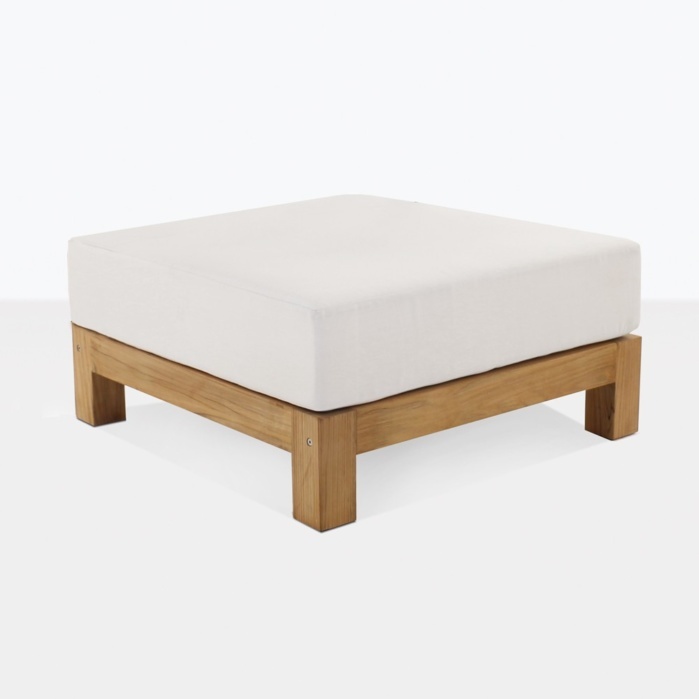 You can also create a simplistic and zen-like seating area by using only ottomans. The Ibiza Ottoman is low and wide and comes with a plush Sunbrella® cushion. 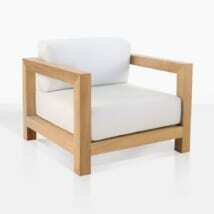 It is made with thick pieces of a-grade teak, which is the best grade of teak for outdoor furniture. It has clean lines and is robust without looking chunky and oversized. 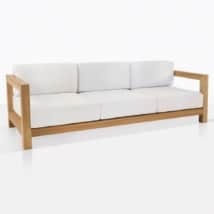 The Ibiza a-grade teak outdoor furniture collection is a beautiful collection that can be customized to fit your space. It will have you feeling like you are on vacation in your own outdoor space. W32.5" x D32.5"" x H16"
At Teak Warehouse you can create and customize your deep seating collection. The Ibiza is a perfect example. 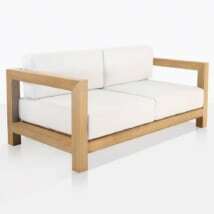 You can choose from a fixed sofa, loveseat or club chair, or you can select the sectional units. Create a long linear sofa with multiple center pieces, or add a corner chair and make an l-shaped sofa.